After the excitement of learning my 2nd and 3rd great grandfathers names died down, I set in to discover what I could of Lloyd Anson Faulkner's father Harry. My father's quest had ended there. He had not gone any further in his research, best I could tell. My dad had had a photo of L. A. Faulkner, his grandfather, hanging in his house - he looked eerily like my father as an older man. Perhaps that was some of the fascination for him in researching this man. The photo now hangs in my house and I, too, am fascinated. I had enough information to do a basic Ancestry search. I knew L.A.'s wife was Anna and that he was born about 1862 somewhere in MN, living there all his life, he died in St Paul in 1933. I immediately got returns for census records and was able to start building his family. There were 5 children born to them, my grandfather and his twin sister being the youngest. As the family began to build, other documents began to appear. The Minnesota death index, the Minnesota marriage index and the Minnesota cemetery inscription index, which revealed not only where L. A. was buried, but confirmed the information I had been given about his parents names - including his mother's maiden name! "Par. Harrison and Jennie Whitford Faulkner". I immediately emailed the cemetery and sent away for the death certificate. "Harry-Harrison Faulkner. Sp. Jennie Whitford. Par. James & Jane McBride Faulkner. Mar. 1855. Born Goshen, Orange Co., N.Y."
I emailed the cemetery and sent away for the death certificate. I bided my time filling out the tree with spouses of siblings, children, anything Ancestry would give me. Remember, I had never had any relatives from this side of the family before. This was very exciting! From the cemetery inscription index (above) I learned that Harrison was born in New York. That would agree with the tale that started this quest, but how did he get to Minnesota? And why? Did he come with his parents? And where were his parents? There was one James Faulkner that I could find in Minnesota, and about a half dozen of them in Orange Co, New York. I needed more information. Both cemeteries responded quickly, and Maple Lawn, where Harrison is buried turned out to be a gold mine. Larry, the cemetery secretary and local historian went over and above. Typical Minnesotan congeniality! He went out of his way to dig up the obituary and funeral notice for Harrison Faulkner. And even sent me a vintage post card from the church where the funeral was held! Larry also introduced me to a database his friend John had put together. His friend John Dalby. The Dalby Database was a spectacular find for me at this point in my research. Was of a family Distinguished for Being Early Settlers. "The late Harrison Faulkner, whose funeral took place in Faribault Wednesday afternoon, came of a family with some distinguished members. His great grandfather, who was of Scotch lineage, immigrated to what was in his time the colony of New York, early in the eighteenth century. James Faulkner, father of Harrison Faulkner, settled in Michigan 1833, on a tract of land where he spent the remainder of his days, near Grass Lake. He had been a colonel in the war of 1812, and was at one time in command of Staten Island, N.Y. before moving to Michigan. Col. Faulkner lived for a time in Tennessee, and was owner of a large plantation, and of a good many slaves, but when he removed to Michigan he took only a few slaves with him, whom he freed soon after. They would not leave their old "massa." Harrison Faulkner was born in Goshen, Orange co., N.Y., in 1825. He studied medicine for two years, but gave up that profession. Working on a railroad, he was the first fireman on the Michigan central railroad. Then he went to the lead mines at Galena, Ill., and remained there a number of years. In 1855 Mr. Faulkner married Miss. Jennie Whitford, and in 1856 he came to Minnesota, being one of the first settlers of Faribault, as his grandfather had been one of the early settlers in New York, and his father one of the early settlers of Michigan. Mr. Faulkner for a time followed the trade of carpenter in this city. He was a man of honest, upright character in all his dealings. he was well educated, as were all his brothers and a pleasing gentleman to converse with, having seen much, and observed and thought much about what he had seen. He will be missed not only by his family, but by the early settlers of the city. Mr. Faulkner leaves three sons; Arthur E. of St. Paul; Dr. Lloyd A. of Lonsdale, and Louis N. of New York City. Louis Faulkner is a distinguished stone carver, having been an instructor of the Armour Industrial school in Chicago, and employed in work on some of the finest mansions in the east. Harrison Faulkner was the last of his family - all his brothers and sisters having preceded him to the grave, at advanced ages." In a matter of minutes I had gone from knowing zip about Harrison and his father James, to learning not only WHERE James lived, but that he was in the war of 1812, and a colonel at that! And I learned that Harrison had brothers and sisters - plural! 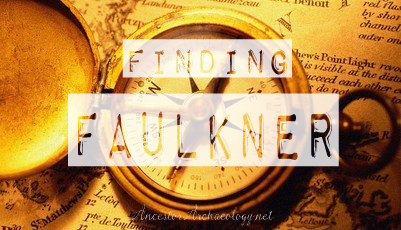 There might just be other Faulkner descendants out there! 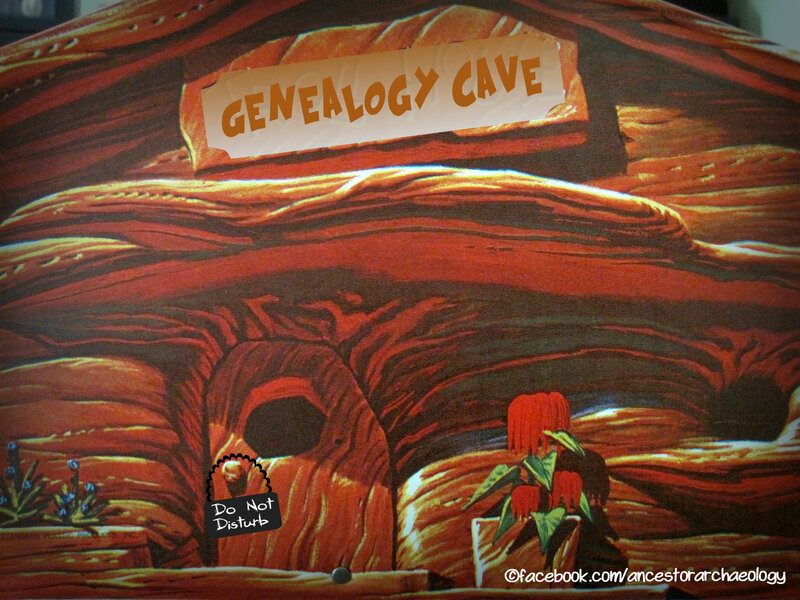 Indeed, you hit the proverbial genealogy mother lode! Wow! Everything that kinda fell into place(with a wee bit of good help). Good for you! Thank you Nell! Just wait! It get's better! This was a crazy and VERY rewarding journey. Took me through a maze for a time ..... but I don't want to spoil anything!